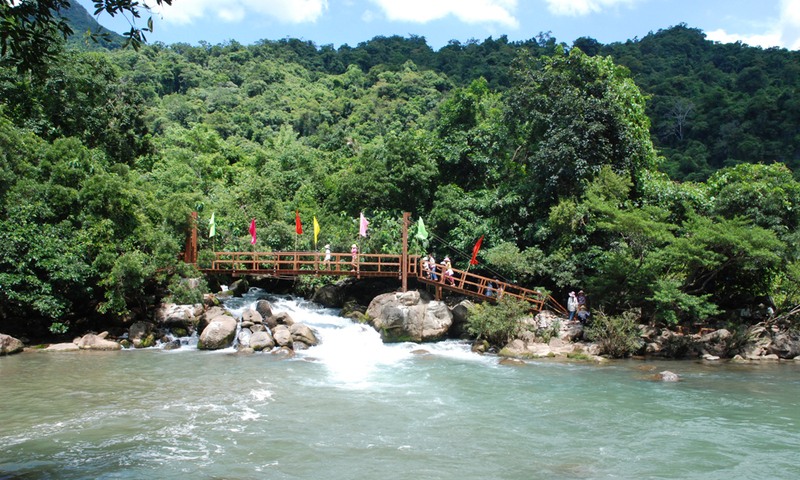 Chay Lap is a community-owned and operated ecotourism association in the Phuc Trach Commune. If you want to experience Eco Tourism at its best, you can do no better than spending time at Chap Lay. The commune is adjacent to the World Natural Heritage Site of Phong Nha – Ke Bang National Park in Central Vietnam. Locals living at the edge of the National Park provide exciting ecotourism experiences to foreign and domestic tourists. You stay in the traditional wooden Vietnamese houses of the local people and enjoy the food and the culture that are part of the daily life at Chap Lay. 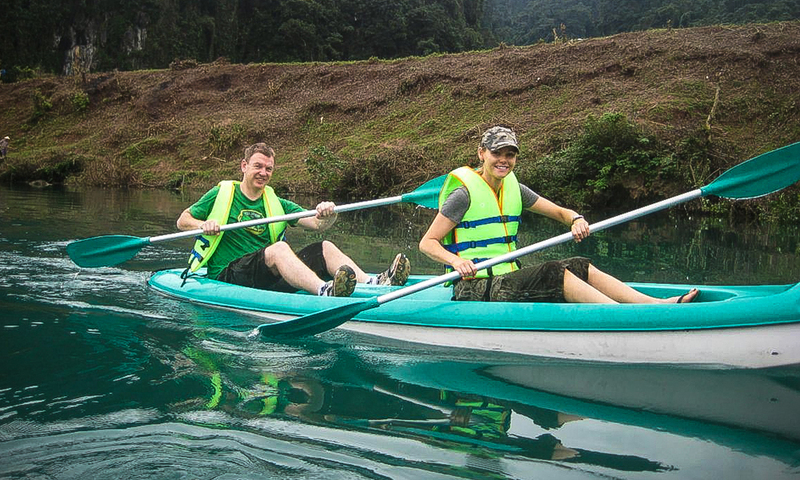 You can experience biking, kayaking and trekking services in and around Ke Bang National Park. Volunteer study trips are also available for those who want to learn about and contribute more to the eco balance of the National Park . When you stay at Chay Lap, you have a great time and in true ecotourism form, you directly support the conservation of an important World Natural Heritage Site and provide employment opportunities and income for the families of Chay Lap Village and its surrounding areas. And of course, Chay Lap is simply stunning! Experience coal-black evening skies, spectacular limestone cliffs, a choice of many activities and the space and environment to relax and enjoy the peace and serenity of this magnificent part of Vietnam. 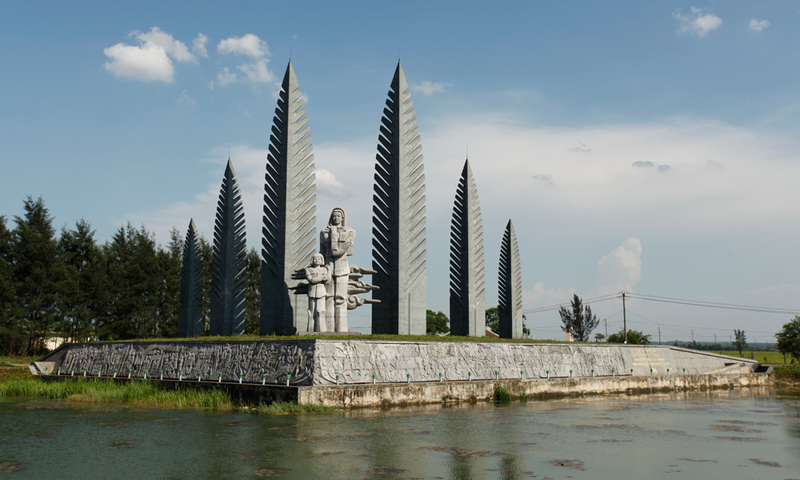 So when you come to Vietnam, make sure you plan to visit Chay Lap, enjoy Ecotourism at its best and have an experience that you will never forget. 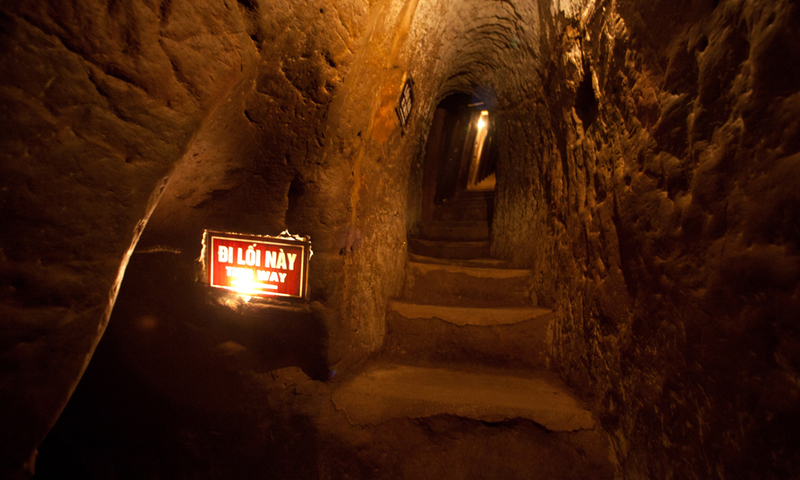 In the morning, you will be transferred from Hue to Chay Lap with stops en route to visit the DMZ such as: Hien Luong Bridge, Vinh Moc tunnel, and Cua Tung beach. Here you will get a chance to learn about the Vietnam War and the impact that it had on the area and the population. Lunch is at Cua Tung beach, known as the Queen of beaches in Vietnam. Once you have checked into the homestay at Chap Lay, you have the opportunity to learn how to prepare your dinner steamed fish with beer, served along with local herbs. Overnight in Chay Lap homestay. 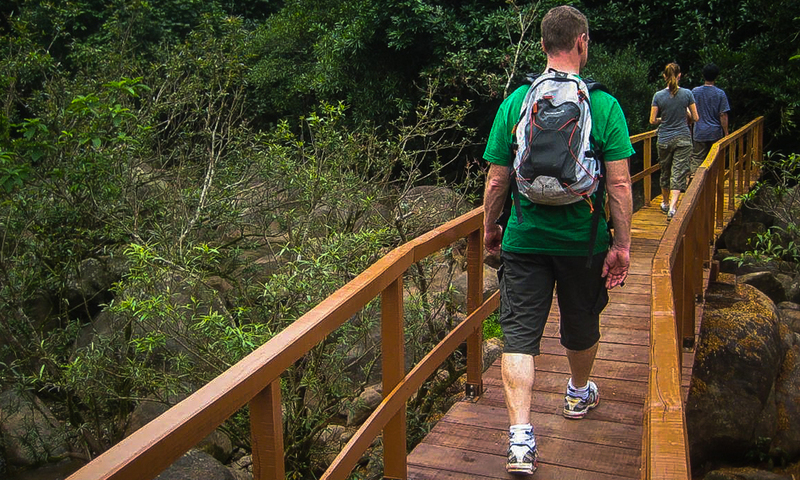 Go cycling into Phong Nha - Ke Bang National Park, and explore the wildlife in the Park. With luck, you will see animals such as Hatinh langur and Pygathrix nigripes as well as many birds. A picnic lunch is provided. 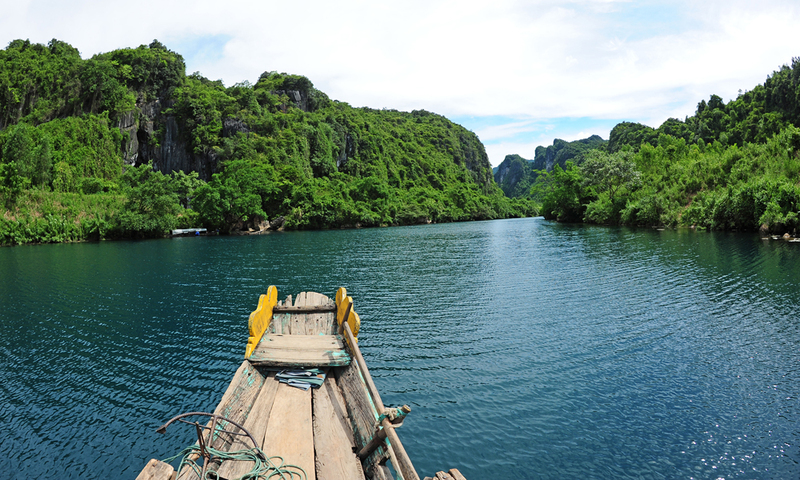 We leave the Park in the afternoon, and cruise in a wooden boat on the Son River for the visit to the World Natural Heritage Site of Phong Nha Cave. 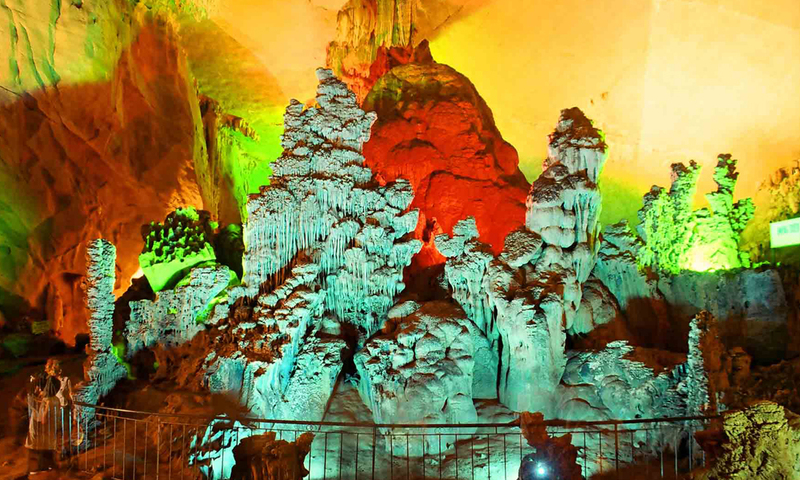 Here you get to discover the breathtaking beauty of the caves. If time permits, you may be able to get involved in some of the local field tasks. (The distance for experienced cyclists is 45-50km. Less experienced people will be more suited to 20km or less depending on your health). This morning takes us to the Chay River to go kayaking to the Dark Cave and Nuoc Mooc Springs where you can enjoy a refreshing swim. A local guide will then take you on a short trek through the Park to learn about the codes of a conservation environment. The transfer back to Hue will take you on the Ho Chi Minh Highway. 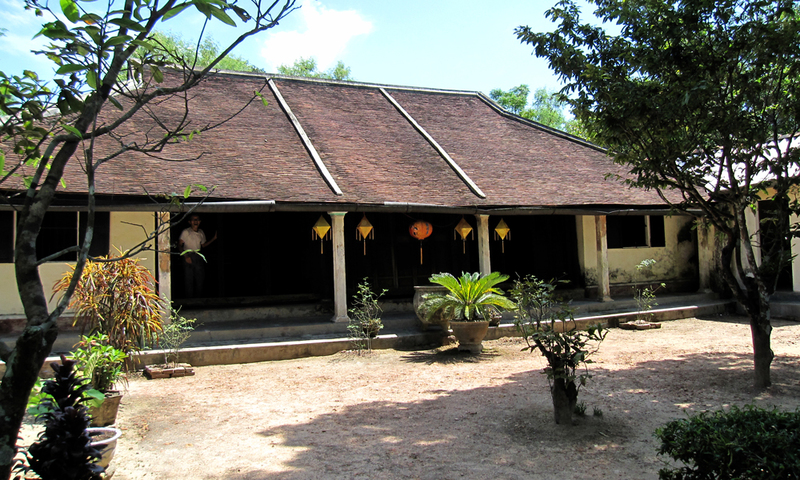 If time permits, there will be a stop for a visit to Phuoc Tich ancient village en route.